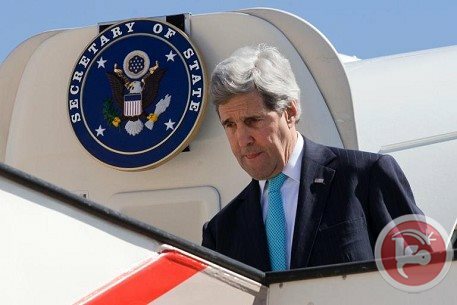 US Secretary of State John Kerry arrived in Jordan Wednesday in a fresh bid to keep his Middle East peace bid on track, amid fears Israel may renege on a vow to free Palestinian prisoners. Kerry, interrupting a visit to Rome, was due to meet first with Jordan's King Abdullah II before holding talks with President Mahmoud Abbas over dinner in a bid to "continue to narrow the gaps" between the two sides, his spokeswoman said. Under a July deal for the relaunch of the talks, Israel said it would release 104 Palestinians held since before the 1993 Oslo peace accords in exchange for the PLO not pressing their statehood claims via the UN. Israel has so far freed 78 prisoners and is due to release the fourth and final tranche on March 29, but there are growing fears Netanyahu's cabinet may refuse to approve the move. Palestinian leaders are threatening to renew their diplomatic push at the United Nations if the prisoners are not freed as scheduled this weekend. Kerry's meeting with Abbas comes only 10 days after the Abbas was welcomed at the White House by US President Barack Obama for talks which Palestinians officials later admitted had been difficult. Kerry, who coaxed the two sides back to the negotiations last July after a three-year freeze, is seeking to keep up the pressure to reach an agreed framework to guide the talks going forward as an April 29 deadline for a deal looms. Despite months of meetings between Kerry and Israeli and Palestinian leaders both in the region and in cities around the world, the two sides have remained deeply divided. Abbas has so far held off on efforts to use the UN's November 2012 recognition of Palestine as a non-member observer to press for membership in international bodies where it could fight Israeli occupation. But Palestinians are warning they may drop that pledge if Israel breaks its side of the deal by not freeing the prisoners. "We shall turn to the UN's international organizations if Israel does not release the fourth and final group of prisoners," said Yasser Abed Rabbo, secretary general of the Palestine Liberation Organization's executive committee. 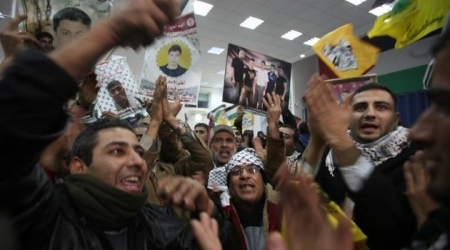 "The release of the prisoners is in return for the freeze on seeking membership in international organizations," he told Voice of Palestine radio. 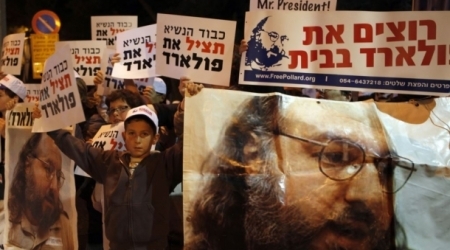 The prisoner issue is not the only bone of contention jeopardizing the peace talks, and the atmosphere has been further muddied by Israeli pressure on the US to free convicted spy Jonathan Pollard as well as by continued settlement building. Israeli army radio said Wednesday the US had offered to release Pollard, who was arrested in 1985 and condemned to life imprisonment for spying on the United States for Israel, in return for Palestinian prisoners being freed. He was convicted "of a very serious crime, was sentenced to life in prison and is serving his sentence," she added. 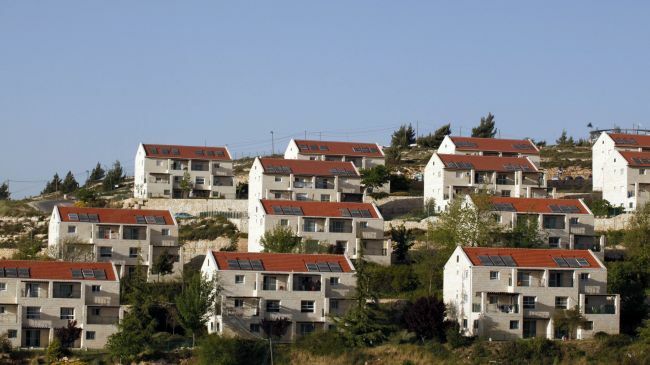 Repeated Israeli announcements of new settlement construction have also angered the Palestinians, as has Netanyahu's demand that they recognize Israel as "the nation-state of the Jewish people." Arab leaders at a summit in Kuwait on Wednesday fully backed the Palestinians in refusing to recognize Israel as a Jewish state. Ties between Israel and its US ally have also been chilled by remarks last week from Israeli Defense Minister Moshe Yaalon accusing Washington of being weak in its foreign policy in global hotspots. Arab leaders fully back a Palestinian refusal to recognize Israel as a Jewish state, an Israeli demand that threatens to derail peace talks, a joint statement said on Wednesday. "We express our total rejection of the call to consider Israel as a Jewish state," said the final declaration of the two-day Arab summit in Kuwait. President Abbas told the 25th Arab League summit that the Israeli government was trying to renege on its commitment to release Palestinian prisoners and was not serious about peace talks. 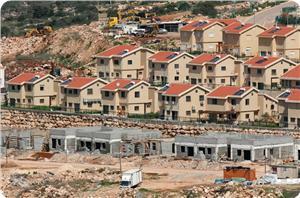 "The Israeli government took every chance to foil the American efforts. This proves what we say about the lack of seriousness and preparedness of the Israeli government to withdraw and create peace." 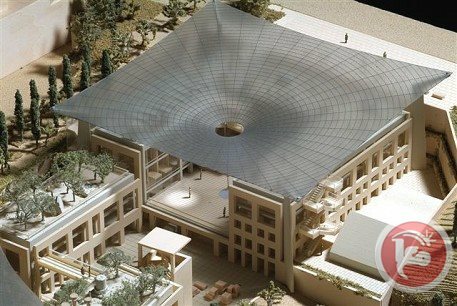 Abbas rejected partitioning the al-Aqsa mosque either physically or by imposing a schedule in which Jews and Muslims be able to worship separately. 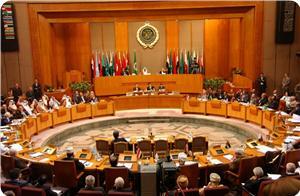 Ahead of the summit, Arab officials told Ma'an that Arab envoys were considering withdrawing the Arab Peace Initiative of 2002. 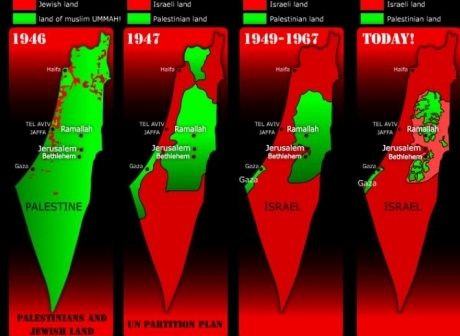 The initiative -- which calls for two states on the 1967 borders and a "just settlement" of the refugee issue in exchange for full normalization between Israel and the Arab world -- was largely rejected by Israeli officials after it was approved at the 2002 Beirut summit. 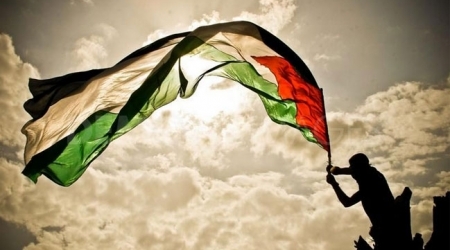 The PLO recognized Israel's right to exist in 1988, but say that recognizing Israel as a "Jewish state" is unnecessary and could jeopardize the right of return for Palestinian refugees and limit the rights of Palestinians living in Israel. 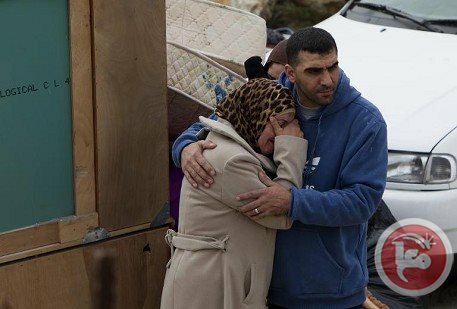 Israeli occupation army radio revealed Wednesday morning that the Israeli government put the release of the final batch of Palestinian prisoner under the conditions of Palestinian Authority agreement to extent the negotiations time line and the U.S agreement to release the Israeli spy Jontan Bolard . Occupation radio explained that the U.S secretary John Keri and his negotiator's staff had presented this new proposal after prime minister of Israeli occupation Netanyahu informed Kerry that Israel will not release any Palestinian prisoner unless peace negotiations are extended. The radio quoted Netanyahu as saying " It is difficult to release the Palestinian prisoners from pre 1948 occupied Palestinian (Israelis Arab) as a wide range of Israeli ministers opposing it , even if Abbas agreed to extend the negotiations." The Radio explaining that releasing Bolard after 30 years in America prison will reduce the Israeli opposition of releasing the Palestinian prisoners from pre 1948 occupied Palestinian and enable Netanyahu to pass the decision. 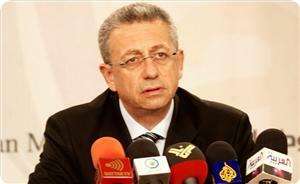 It's expected that John Keri will meet Mahmoud Abbas today in Aman to convince him to extent the negotiations. 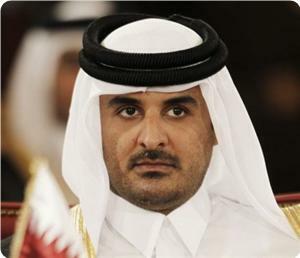 Hamas Movement and Palestinian Government appreciated the Qatar's Emir Sheikh Tamim bin Hamad al-Thani's speech at the Arab summit in Kuwait; his take on the Palestinian cause, Jerusalem and settler breakings of Al-Aqsa Mosque. Ezzat el-Rishq, a Hamas politburo member, welcomed Qatar's call to hold a mini-Arab summit to discuss Palestinian national reconciliation and establishment of an Arab fund for the resilience of Jerusalem, and its initiative to contribute 250 million dollars to this fund. Ihab al-Ghusain, Spokesman of the Palestinian government, said that Qatar affirms again its genuine stance supporting the Palestinian cause and its insistence to discuss it at Arab summits. "We welcome the Qatar Emir's speech as a whole; especially his demand for the siege imposed on Gaza Strip to be lifted and for the Palestinian reconciliation to be backed,” Mr al-Ghusain said. Ghusain hoped the summit provisions to be reflected on the ground and not remain on paper. Qatar has offered tangible support to the Palestinians meeting all of its promises towards the Palestinian cause and the Gaza siege, which can be observed during the last two wars, and power and storm crises, Ghusain told ALRAY. The summit leaders called to withdraw the Arab peace initiative with the occupation in this critical time of the Palestinian cause in response to the Israeli occupation's violations in occupied West Bank and besieged Gaza Strip. A senior Palestinian official on Monday said his government would seek membership in international organizations if Israel failed to abide by a previous agreement to release a fresh batch of Palestinian detainees on March 29. "The Palestinian government has already finalized preparations for receiving the freed detainees," Ziyad Abu Ein, a senior official at the Ministry of Detainees' Affairs, told Anadolu Agency. U.S. Secretary of State John Kerry will meet with Palestinian President Mahmoud Abbas on Wednesday in Amman to discuss the Israel-Palestinian negotiations. 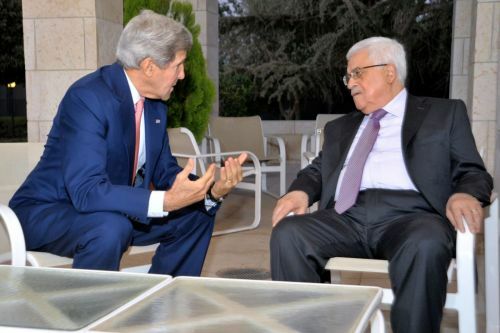 The State Department in a press statement Tuesday, said that Kerry is interrupting a trip to Europe with President Barack Obama to meet with Abbas. In a related context, Palestinian President Mahmoud Abbas met on Tuesday with the Jordanian King Abdullah II, on the sidelines of the 25th Arab summit held in Kuwait. Abbas discussed with the Jordanian king the latest development of the peace process, the situation in the Middle East, in addition to the bilateral relations between the two countries and means to develop them. PLO Executive Committee member, Dr. Hanan Ashrawi, called the U.S. to stand up for international law and to have the political will to curb Israeli violations of international and humanitarian law. She stressed, "unless there is an American commitment to treat Palestinians equally and to hold Israel accountable, there is no hope for peace." 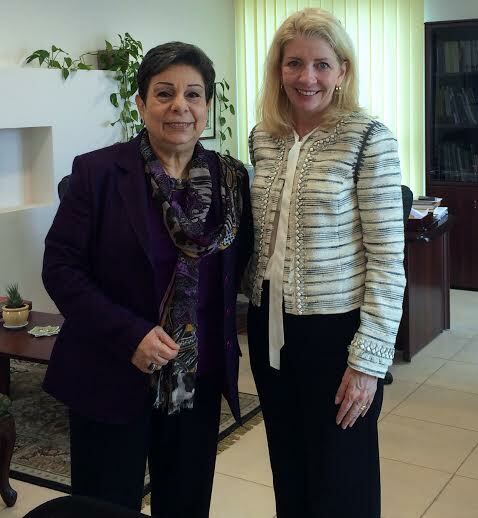 Ashrawi's statements were uttered during her meeting with Ambassador-at-Large for Global Women's Issues, Catherine Russell, at the PLO Headquarters in Ramallah. Ashrawi highlighted the accomplishments of women in Palestine in the face of tremendous odds: "Despite the gender discrimination in Palestine and obstacles imposed by Israel's military occupation, among other barriers, Palestinian women persist in their struggle for equality, dignity, and social justice." Both parties discussed the role of women in the "peace process," the importance of the women's movement in Palestine, the ongoing negotiations, and Israel's facts on the ground. 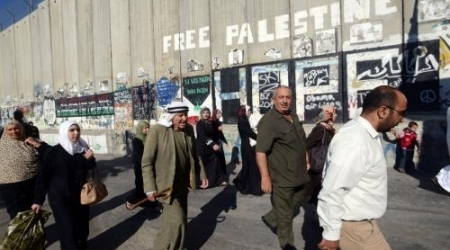 Ashrawi stressed, "For decades, we have been subjected to a system of direct control and captivity; Israel is violating our human rights and freedoms and annexing Palestinian land and resources, while completing the siege and ethnic cleansing of Jerusalem." Palestinian leaders on Tuesday threatened to renew their diplomatic push at the United Nations if Israel fails to free Arab prisoners as scheduled this weekend. When US-sponsored Israeli-Palestinian peace resumed in July, Palestinian president Mahmud Abbas agreed that for their nine-month duration he would shelve efforts to use the UN's November 2012 recognition of Palestine as a non-member observer to press for membership in international bodies where it could fight Israeli occupation. In exchange for the diplomatic ceasefire Israel was to release 104 Arabs imprisoned since before the 1993 Oslo peace accords between the sides. It has so far freed 78 with the final batch due for release on March 29. "We shall turn to the UN's international organisations if Israel does not release the fourth and final group of prisoners," said Yasser Abed Rabbo, secretary-general of the Palestine Liberation Organisation's executive committee. 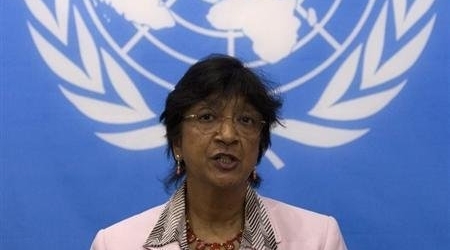 "The release of the prisoners is in return for the freeze on seeking membership in international organisations," he told official Voice of Palestine radio. Israel wants the so-far inconclusive peace talks extended beyond their April 29 deadline and ministers have warned that should the Palestinians refuse, the remaining prisoners will not be freed. "If Israel were to refuse to free the fourth batch it would have serious consequences, including initiatives at the United Nations," former Palestinian negotiator Mohammed Shtayeh, said in a statement. Israel particularly objects to the Palestinians' demand for Arab Israelis or Palestinian residents of Israeli-annexed east Jerusalem convicted of militant acts to be included in the release, even though both groups were included in a 2011 swap of 1,027 Arab prisoners for captive soldier Gilad Shalit. A senior Palestinian official told AFP on the condition of anonymity that in recent talks with US special envoy Martin Indyk, Abbas warned that if the April 29 talks deadline was not met "Israel would be in violation of agreements and (the Palestinians) would have the right to turn to the UN and to take any measures it deems necessary." 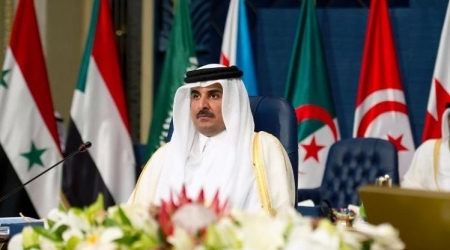 Emir of Qatar Sheikh Tamim bin Hamad Al Thani called for convening an Arab mini-summit with the aim of forging reconciliation between the Palestinian factions, ending the state of internal division. and ending the Gaza blockade. Sheikh Tamim said, in a speech he delivered on Tuesday before the 25th Arab summit convening in Kuwait, "The Palestinian issue still represents the most important challenge facing the Nation", and stressed that Israel's breaches remain an obstacle to achieving a peaceful settlement. He also called for taking serious actions to end the Israeli siege imposed on the Gaza Strip for more than eight years, unabated, and opening the crossings to save Gaza residents. For his part, Emir of Kuwait Sheikh Sabah Al-Ahmad Al-Jaber said that the just and comprehensive peace will only be achieved through the establishment of a Palestinian state with Jerusalem as its capital, pointing out that the Israeli violations have been hampering the achievement of peace. 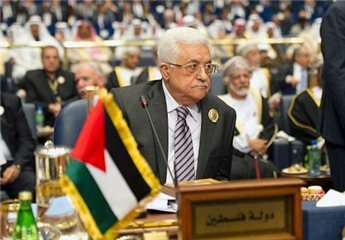 The Palestinian legislative council (PLC) called on the Arab summit convening in Kuwait to revoke the Arab peace initiative and reject Kerry's framework plan in response to Israel's crimes against the Palestinian people and its disregard for any initiative. This came in a letter addressed on Monday by first deputy speaker of the PLC Ahmed Bahar to the Arab leaders participating in the Arab summit. "Our steadfast Palestinian people, who consider you their strategic depth and fortified fortress, hope that you live up to the gravity of the historic moment which they and their national cause are passing through, and make practical decisions and necessary steps to protect them and their national cause against the occupation's terrorism and plots and prevent the conspiracy aimed at liquidating their rights and holy sites," Bahar stated. He urged the participants to save the besieged Gaza population from the clutches of hunger and suffering and put the Palestinian cause high on their agenda. The lawmaker also appealed to the conferees to launch a diplomatic campaign intended to isolate Israel politically and activate the Palestinian cause at the international level. Palestinian President Mahmoud Abbas has agreed to extend peace talks with Israel, if certain conditions are met, a Palestinian official said on Monday. The official, speaking on the condition of anonymity, told Ma'an News Agency that Abbas agreed, during a recent meeting with US President Barack Obama, to extend peace negotiations if Israel pledged to freeze settlement construction and release more prisoners. So far, 78 of 104 Palestinian veteran prisoners have been freed in three groups, with the final 26 to be released on March 29. However, recent statements by Israeli officials have cast doubt on whether the prisoners would be released on time, if at all. The official said that if Israel delayed the release of the last group of pre-Oslo prisoners, the Palestinian Authority would immediately take the case to international organizations. 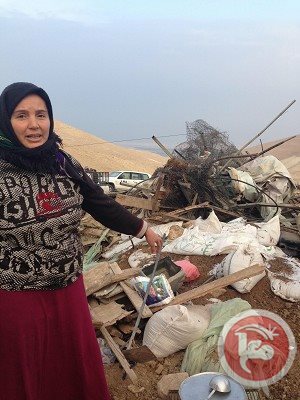 Israel's government has announced the construction of thousands of settler housing units and its army has killed 60 Palestinians in the West Bank and Gaza, since the negotiations began. The majority of the Israelis refuses that West Bank be relinquished to the Palestinian Authority (PA) as result of peace talks, a poll finds. 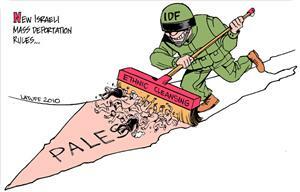 Israel Channel 7 website reported that a survey noted that only 39% of respondents believed that ‘Israel’ must withdraw in order to attain peace with the Palestinian Arabs. 61% believed otherwise. 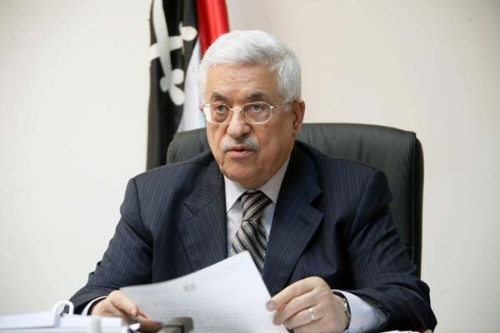 In addition, the survey revealed that 70% of the public "cannot relate to (PA Chairman) Mahmoud Abbas as a potential partner for a peace agreement," while 30% of the public believes the opposite. Palestinian lawmaker Mustafa Al-Barghouthi called on the Palestinian Authority (PA) to withdraw from the negotiation process with the Israeli occupation and described it as frivolous. 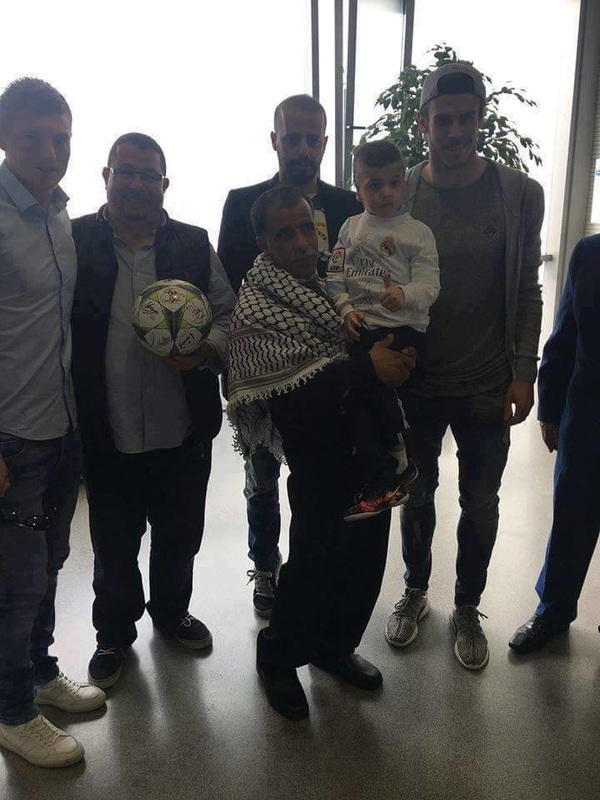 MP Barghouthi made his remarks on Sunday during his visit to Umm Al-Abed in Jenin to offer his condolences for the death of her son Hamza Abul Heija. He said that the peace talks provided Israel with a cover for its crimes, pointing to the fact that 54 Palestinians had been killed since the beginning of the talks. The lawmaker hailed the popular uprising that took place after the Israeli occupation forces attacked the house of Abul Heija in Jenin refugee camp. He stressed that the alternative approach to the negotiations is the popular resistance and moving diplomatically and at the international level to hold Israel accountable for its heinous crimes.